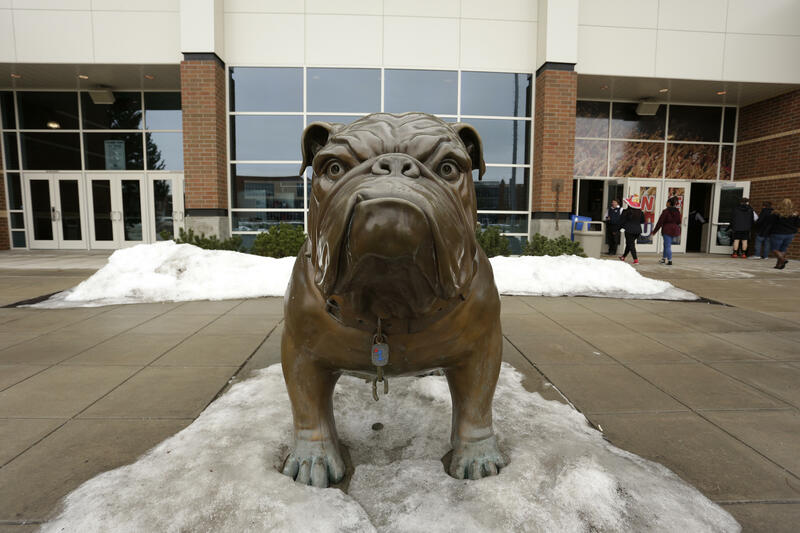 Every year, there seems to be more and more reasons to cheer on the Gonzaga Bulldogs. Though it’s not as easy to score tickets to home games as it was, say a decade ago, it’s still worth the effort to try to attend a game. In addition to providing some of the best hoops action around, the McCarthey Athletic Center offers visitors so much more. So whether you’re a longtime member of the Kennel Club or there for your first visit, it’s definitely worth checking out for the experience alone. Here’s what you need to know about the home of the Zags! 1. Capacity: A sold-out crowd fills all 6,000 seats of the 148,000 square foot arena. When looking at comparable stadiums in the region, it has the same seating capacity as Reese Court at Eastern Washington University, and is considerably larger than Whitworth’s University Fieldhouse (1,260), but smaller than Friel Court at Washington State University’s Beasley Coliseum, that seats about 11,600. Until 2011, McCarthey was considered the largest arena in the WCC league, but now BYU’s Marriott Center has this title, with 19,000 seats. 3. Holy spirit. The center may be one of the only local sports auditoriums to receive regular religious blessings. Team chaplain Father C. Hightower, S.J., or other clergy often bless the building and the team on game days. A crucifix on the wall also shows the college’s Catholic tradition. 4. Tasty treats: In addition to traditional ‘stadium’ food such as popcorn, pretzels, hot dogs or burgers, visitors can enjoy more diverse eats at the various concession stands at the center, including fully-loaded baked potatoes; nachos, burritos and street tacos from Kennel Fiesta; or hand-carved turkey and roast beef sandwiches from the Kennel Carvery. adventures memorable and safe, no matter the destination. Visit Foothills Mazda for more info. Published: March 12, 2018, 2:45 p.m.